Sid Rajeev Vice President - Head of Research, Fundamental Research Corp.
At Fundamental Research Corp, Sid heads the research department which covers over 250 small and micro cap companies and 45 exempt market/private issues from a broad array of industries including Energy, Mining, Real Estate and Technology. He also manages the FRC list of Top Picks, which are the stocks under coverage which he has the highest conviction level about. These picks have historically helped the firm finish strong in various third party analyst performance rankings. 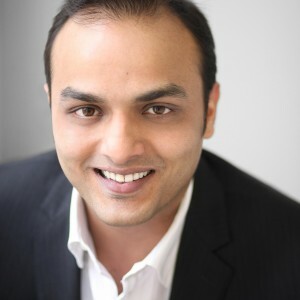 Sid holds a Bachelor of Technology degree in Electronics Engineering from Cochin University of Science & Technology, and an MBA (Finance) from The University of British Columbia. He is a CFA Charterholder, and has completed studies in exploration and prospecting at the British Columbia Institute of Technology. Sid is sought by the media for commentary on the valuation of small cap stocks and industries he covers. He is also co-author of two online courses including the very successful "Evaluation of Junior Mining Companies for Investment Purposes" which has evolved into classroom courses, seminars, and is in demand at investment conferences across North America.